Machine learning is a type of artificial intelligence that allows machines (computers) to learn without any programming. Google is applying machine learning to its products such as search ads, YouTube, Maps, and other products. Smart bidding is based on machine learning which was announced in July 2016. If you’re using Google AdWords, it is time to start using machine learning to make your campaign stand out from the crowd. Yes, machine learning makes ad performance better. It is a five-step process that goes something like this. Let’s dig deep and see how you can use it for your AdWords campaigns. The first step is to enable cross device tracking which is known as X-device tracking. Same conversions when a mobile ad click results in a mobile conversion. 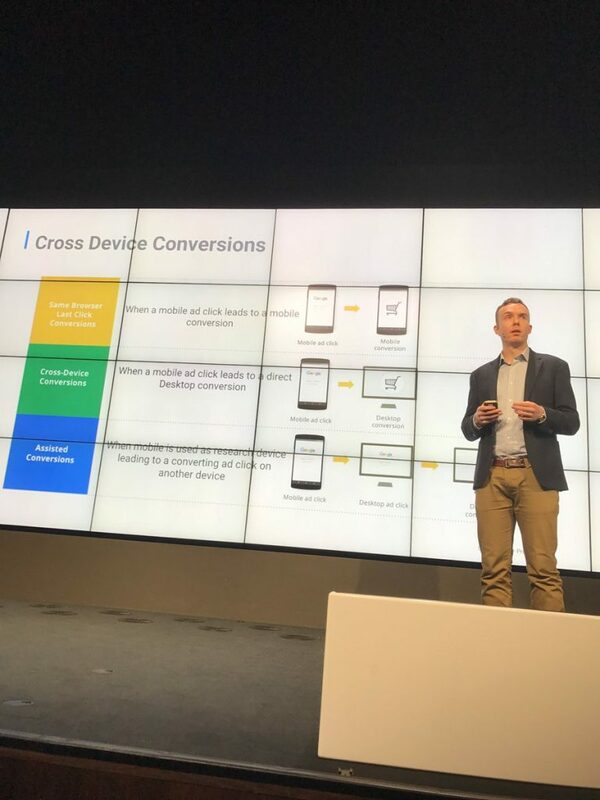 When a customer clicks an ad on mobile which results in a desktop conversion, it is considered a cross-device conversion. Assisted conversions are related to multiple devices where mobile is used as search device. The click and conversion take place on other devices. Google tracks cross device conversion automatically but you’ve to enable it. Click Tools and then click Conversions. After you’ve enabled cross-device conversions. The next step is to review and understand top conversion paths. A conversion path is the process through which a visitor converts. It includes the steps that a potential lead follows from landing on your website to converting. When you review a conversion path, you are not looking at the pages that a visitor goes through instead you look at the interactions that the visitor have had with the website. You might be getting conversions and sales but if you don’t know the conversion path that a potential visitor follows, you cannot tweak and improve your website. This is why understanding conversion paths is so important. 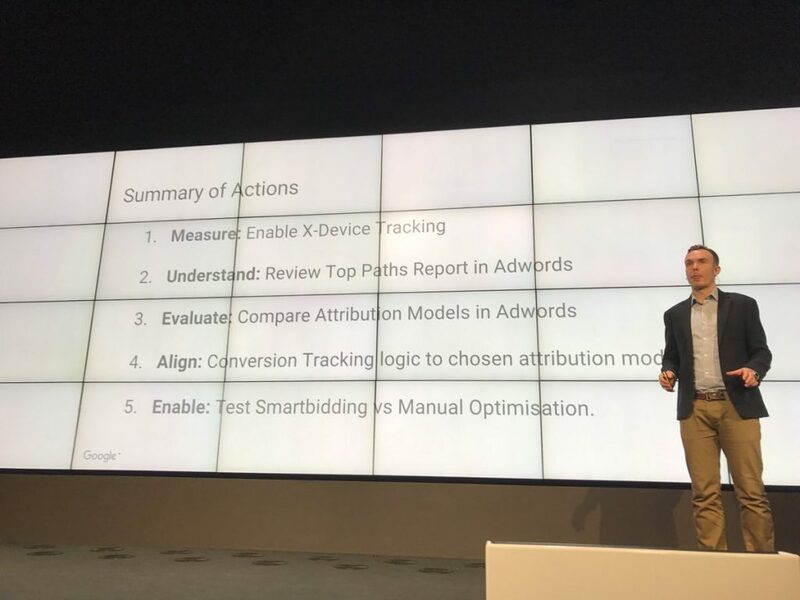 Conversion path review is related to attribution model. An AdWords attribution model determines how to credit conversions to keywords, ad groups, and campaigns. Google allows you to attribute the credit to the first click, last click, position-based, or a combination of multiple clicks. 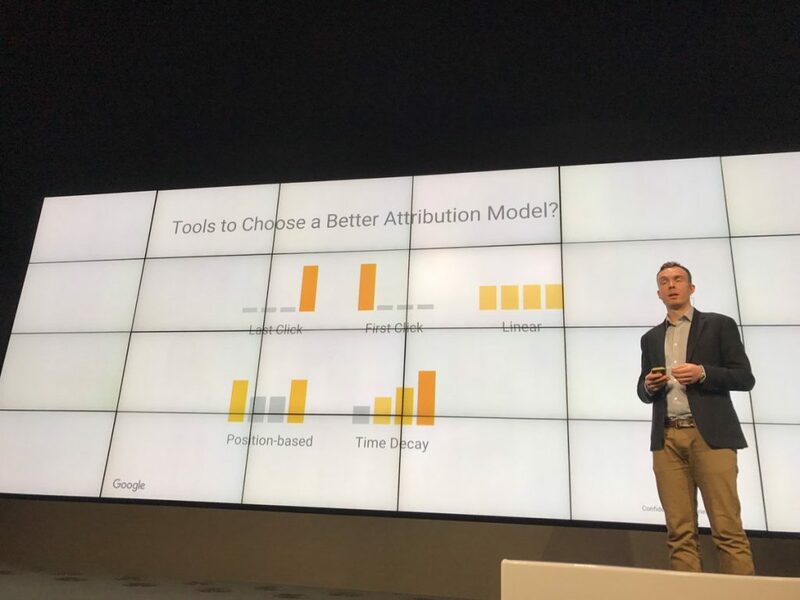 Evaluating your attribution model will help you better understand how your ads perform and how you can choose the best conversion paths to optimize and maximize conversions. With last click attribution model, the credit of conversion will be given to the last ad clicked. In reality, it is not just the last or the first click that results in conversion. A potential customer might visit your website several times before making a purchase or even after clicking the ad, he might spend time reading reviews or clicking on several blog posts before finally converting. This is where data driven attribution model is so helpful. This model is powered by data on your AdWords account and on your website to determine the value of each touchpoint that a customer had with your website. There are several benefits of using data driven attribution model. It helps you identify keywords, ads, and other variables that make the biggest impact on conversion. It considers both conversion and non-conversion paths. There are several non-conversion paths and tasks that lead to a conversion. Data driven attribution model takes into account all of them. It is personalized and uses the data from your own account to see what works and what doesn’t work. It helps you channelize your advertising budget. The purpose of evaluating attribution models is to choose the most appropriate attribution model for your business. The idea is to align it with conversion tracking logic so that the data driven attribution model reveals the conversion paths and actions that lead to conversions. Once you’ve them, you can optimize your campaign based on conversions and different interactions that may or may not lead to a conversion. Not every business needs to stick to the last click attribution model or the first click model. You have to choose the model that goes best with your business and its strategy. This is the final step which is undoubtedly the most crucial one. It is time to use Google’s machine learning powered bidding strategy known as smart bidding. 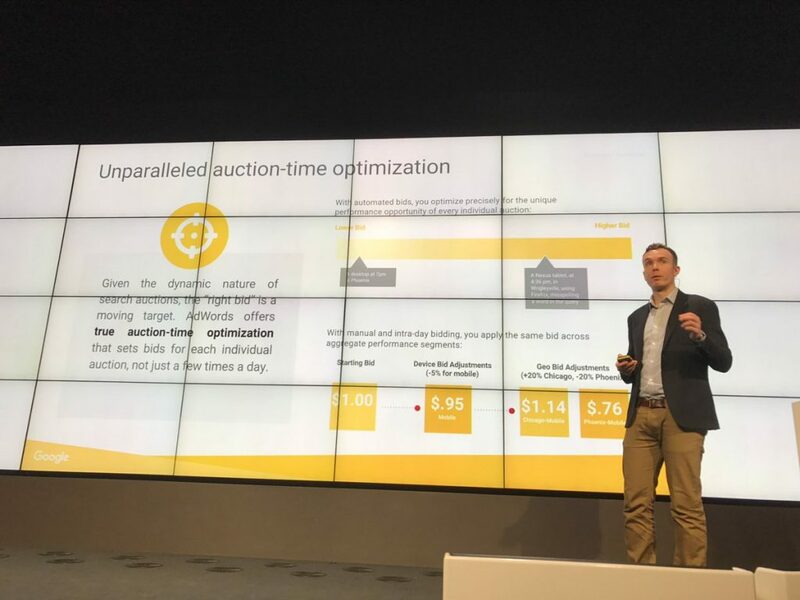 Smart bidding uses machine learning to optimize your bid for conversions. Enabling smart bidding will help you optimize your campaigns for conversions by utilizing your budget smartly. For instance, the auction-time bidding bids just at the right time to optimize your bidding. You cannot do it with manual bidding. The auction-based bidding adjusts your bid at the moment when the auction takes place right after every impression. Not just that smart bidding gets your bid right but it uses the right set of data to bid for the right search terms that will lead to conversions. You can use manual bidding too if it suits your business model and/or advertising strategy but smart bidding truly gets the job done at a whole new level. The idea is to test different types of bidding and conversion paths and attribution models to see what works for your business. It is highly unlikely that you’ll be able to track, analyze, and monitor so many different variables to adjust your campaign at the right time. This is where machine learning gets the job done. Measuring and analyzing your campaigns and ad groups are dependent on several factors. If data from your campaign doesn’t help you understand and optimize your ads and ad groups, there is something fishy. Make the best use of your data.